Fabulous accommodations and fun activities distinguish this off-the-beaten-path-style Hawaiian vacation to the Big Island and Maui. The Big Island offers crystal-clear waters and an amazing abundance of fish, green sea turtles, manta rays, white-tip reef sharks, dolphins, and whales. You’ll also find black-sand beaches, ranches, coffee plantations, and national parks for hiking and exploring. Maui is an alchemic blend of Lahaina’s seaside streets, beautiful beaches, Haleakala, the waterfalls of the Hana Highway, and the fertile slopes of the upcountry. 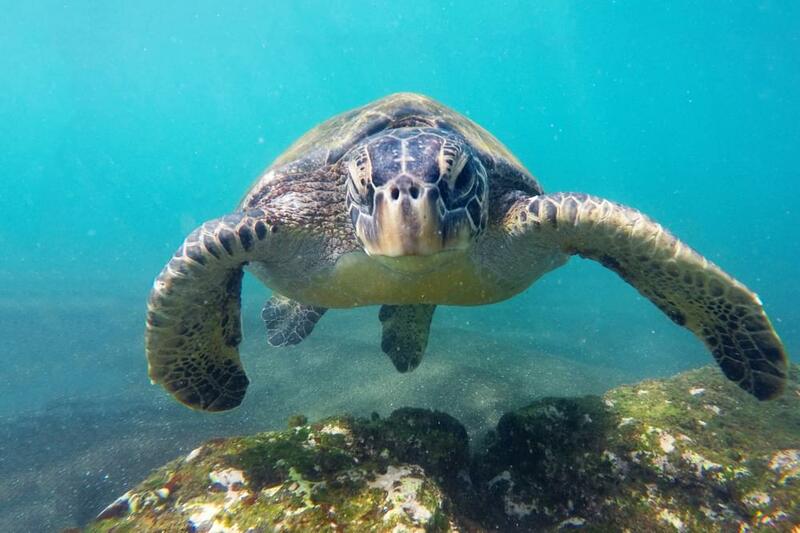 The spirit of Aloha awaits, so pack your bags and set yourself to island time, in the land of fresh pineapples, sea turtles, sun, and ancient seafaring culture. Hawaii! Yes, indeed. A trip highlight is the mere fact that you’ve chosen Hawaii. Let’s face it, when you’re on any of these islands, you’ve got sun, sand, saltwater, Hawaiian culture, extraordinary sea life, waterfalls, mountains, dramatic cliffs, and an array of outdoor activities at every turn. Wonderful accommodations: An ocean view is the common thread in all of the accommodations on this trip, and each accommodation also boasts a swimming pool (or two or three), onsite activities, easy access to offsite activities, and dining on the premises or within a short walk. Outside: That’s where you’ll be spending 99 percent of your vacation! And why wouldn’t you, with warm temperatures, sun and shade, swimming in the ocean or in the pool, beachside dining, mountains for hiking, waters for snorkeling, and open-air just about everything? Welcome to the Big Island of Hawaii! Make your way to your accommodations, on the edge of one of the most beautiful beaches – and the best swimming beach – on Hawaii. 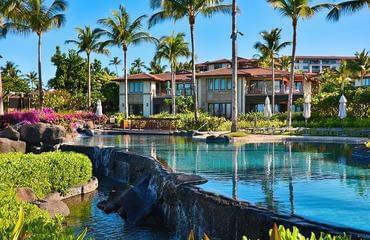 Away from it all, yet within an easy distance, Mauna Lani Bay is an idyllic location from which to explore. Speaking of which… explorations over the course of three days will include a guided half day of snorkeling in Kealakekua Bay, a full day of hiking and exploring in Volcanoes National Park, and an extraordinary helicopter tour, flying over the active Kilauea Volcano to see lava flows and black sand beaches, the lush rainforests of the Hamakua Coast, and the towering sea cliffs and meandering valleys of the Kohala Mountains. A smaller resort to retreat to at day’s end sweetens the deal, with an array of amenities and activities, beachside dining, and spectacular sunsets. Fly to Maui, pick up your rental vehicle, and drive straight for Hana along the famed 50-mile Hana Highway. This remarkable stretch of road doesn’t really stretch per se – it winds, and winds, and winds, until you find yourself in your destination enclave. 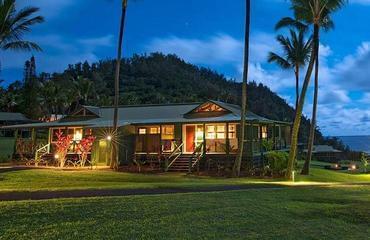 Lodge at the recently renovated Travaasa Hana, perched over Hana Bay. On your full day, we suggest a hike to one of a number of destinations – perhaps the King’s Trail in Wai’anapanapa State Park or the Seven Sacred Pools of Ohe’o in Haleakala National Park. Make your way around the island to Wailea, taking the time to take it all in en route. (Off the Beaten Path’s Journey Guidebook provides plenty of suggestions for things to see and do as you make your way from Point A to Point B!) Upon arrival, check into your beach villa on the shoreline of Wailea, and relax and indulge, just steps from the sand and saltwater. 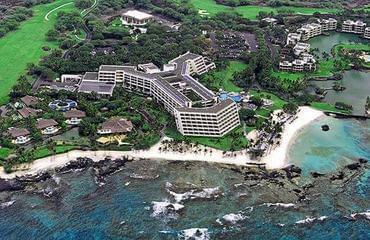 With two full days, spend one hiking to a classic Hawaiian waterfall, with clear pools for swimming. On your second day, head to the top of the massive Haleakala Volcano, hop on a bicycle, and enjoy an exhilarating ride down the mountain road, 25 miles in all! En route, stop in the small town of Makawao, Maui’s “cowboy town,” with rich ranching history. Set on the sunny Kohala Coast, the multi-award-winning Mauna Lani Bay Hotel and Bungalows is an island unto itself – and you may never want to leave! The resort, one of the first to be built on the island, is a most welcoming retreat, set in a quiet area with lush gardens and fish ponds, and graced with a white sandy beach, alongside which sea turtles enjoy swimming! The resort offers a wide array of amenities, activities, and dining options, and the location allows for easy access to Waimea, Kona, and all the west-side beaches. Recently voted as the Number One Resort in Hawaii by Conde Nast Traveler, Travaasa is an oasis of tranquility and beauty on an island that can feel overly crowded and touristy if you end up in the wrong places. The property is set amid rolling grass fields and palm trees above Hana Bay, with sweeping ocean views and many attractive amenities including separate swimming pools for families and adults-only, a fabulous on-site restaurant, and a fantastic spa for pampering and indulgence. There are many activities on site to choose from each day, including yoga, cultural tours, horseback riding, outrigger canoe rides, and much more! Located along the spectacular shoreline of Wailea, on the magical island of Maui, Wailea Beach Villas holds the distinction as Maui's most exclusive beachfront villa resort. Situated among world-class spas, championship golf courses, and Maui's "celebrity chef" restaurants; Wailea Beach Villas offers an 11-acre private sanctuary behind secured gates. A tropical oasis of waterfalls and blooming gardens along quiet, tiki-lit pathways leads to a reserved section of award-winning Wailea Beach and the Wailea Beach Walk - a picturesque pathway that meanders along the coastline, providing guests easy access to the spas and restaurants at the Grand Wailea, Andaz, Four Seasons and Fairmont Kea Lani. Just steps from the sand and amid the extravagant Wailea resort community, this discreetly hidden and private resort is the only one to offer private pedestrian access to the boutiques, restaurants and arts galleries at The Shops at Wailea.